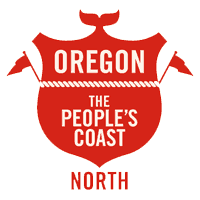 They influence nearly every aspect of life on Oregon’s North Coast. 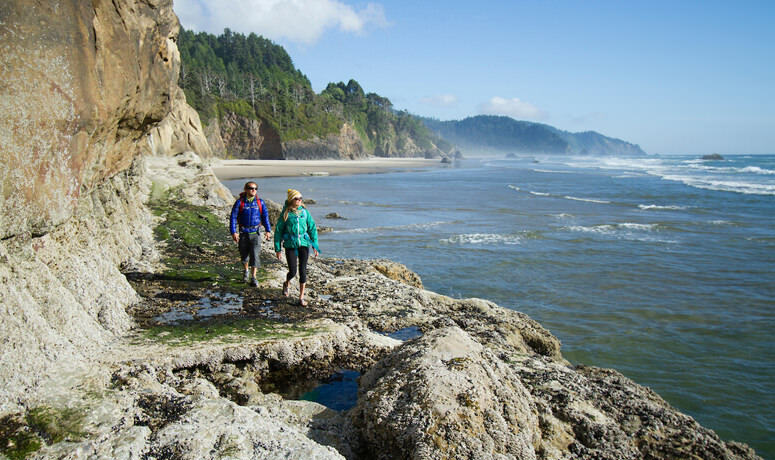 Spend a day on Oregon’s North Coast and you’ll see the beach shrink and grow at least once. From the early days when the beach served as a public highway through to the modern adventurers paddling tidally influenced rivers, tides define not only the rhythm of the Pacific but also the daily life of humming coastal cities. Here’s how this mysterious force of nature influences virtually everything you’ll experience on your next North Coast getaway. 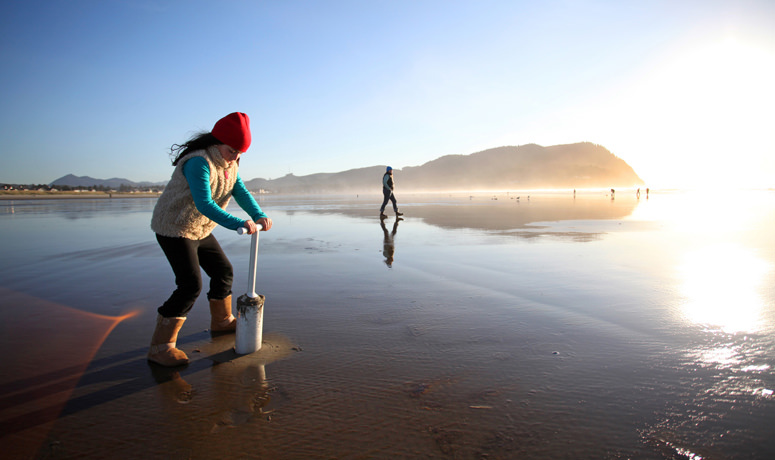 Every 24 hours, Oregon beaches host two high tides and two low tides, about six hours between each. Tides are very long waves (bulges) of water slowly moving across the Pacific, separated by hundreds of miles, driven by the gravitational pull of the sun and moon. 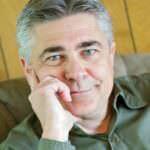 When the peak (crest) of the wave meets the shore, it is called high tide, when the beach is at its narrowest. Low tide corresponds with the wave’s lowest point (trough), when the beach is widest and generally best for seaside activities. The beachfront is not the only zone affected by tides. Their ebb and flow also directly influences coastal rivers and estuaries and deltas, as well as harbors, channels and bays. This affects water depth and currents. Tides have played a central role in the development of the Coast. Before Oregon’s section of U.S. Route 101 was finished in 1936, the exposed, low-tide beach was the fastest public link between isolated towns like Arch Cape to Cannon Beach and Seaside to Astoria and Warrenton. 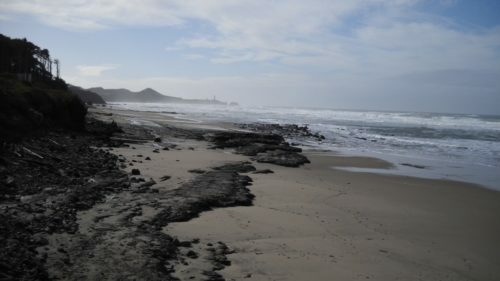 It was dubbed “the People’s Coast” in 1913 by Oregon Governor Oswald West, who said the 363 miles of beach between California and the Columbia River formed a public highway up to the high-tide line, also called the “wet sand” zone. Back then, the few roads on the North Coast were mostly muddy ruts, including the era’s main route between Astoria and Tillamook. Flat, low-tide beaches were preferred. In the 1910s and ‘20s, plied by horse-drawn stagecoaches, wagons and eventually Ford Model Ts, the hard-packed sand allowed for the exchange of goods and services and nurtured commerce between otherwise isolated towns. Today, besides at Hug Point, there is scant evidence of that original sand highway, and cars are mostly banned from driving on shore. North Coast beaches long ago traded vehicle traffic for recreation; 2017 marked a half-century of public beach access. With this free access comes a wealth of places and reasons to explore. Daylight minus tides (0 feet and lower) offer great opportunities for razor clamming, especially around Seaside and Fort Stevens State Park in Warrenton (the season typically runs from October 1 through July 15 but check with the Oregon Department of Fish and Wildlife for updates). Near Fort Stevens, on Clatsop Spit, low tide lets you walk up to the remains of the Peter Iredale shipwreck. 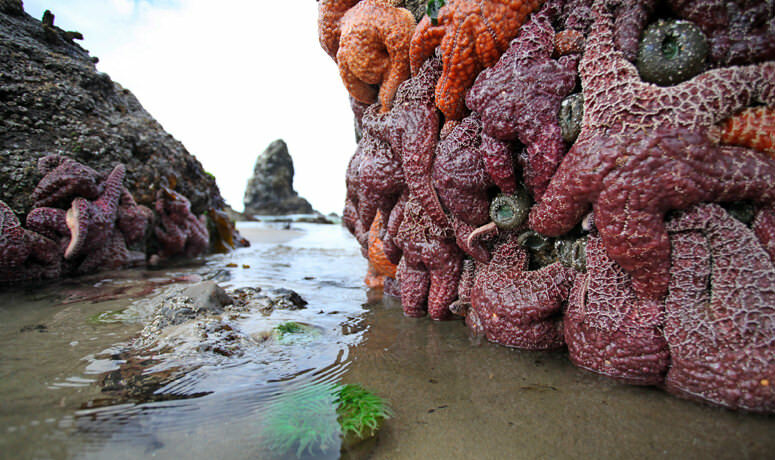 Minus tides are also prime time for tide-pooling, with such popular spots around Cannon Beach as Haystack Rock, Ecola and Oswald West state parks. Lower tides are preferred for athletic activities like beach jogging or fat-tire biking. In the rivers, bays and estuaries where there are submerged sandbars and rocks, high tides provide enough cushion (water depth) for safe stand-up paddling (SUPing) and exploring in your raft or kayak on the Necanicum Estuary in Seaside. For those with experience, ocean kayaking and the thrill of paddling from the mouth of the Necanicum Estuary into the surf is a thrill. Speaking of surf, tides have a dramatic affect on North Coast waves; generally, low tide going high is best for all surfing areas. Anytime you are dealing with tides, safety precautions are paramount — always heed the old adage: Never turn your back on the ocean. Sneaker waves, drift logs and rip currents are real threats, especially during pushing tides, when you can easily be caught off guard and even stranded. Considering North Coast’s cool ocean temperatures, you’ll want to stay dry. To avoid being stranded, take caution to avoid hiking around headlands during high tide, as passageways that were once wide could suddenly be inundated with water. Along with online tide tables, you can often find free or cheap tide booklets in marinas, hardware and sporting goods stores, gas stations and visitor centers. Of course, for all your tidal excursions, check the weather forecast before heading out to ensure utmost comfort and safety. 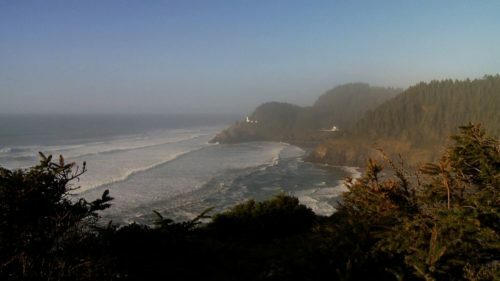 It’s always a good idea to wear layers — on the North Coast, a bright, pleasant day can turn gray and windy, and fog can quickly put a damper on things. 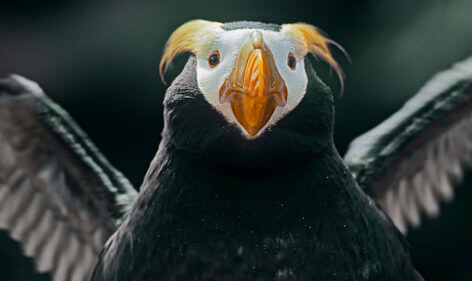 Apply sunscreen to all exposed skin, wear a hat, and don waterproof shoes or boots — especially if you’re going tide-pooling. Most important of all: Know the tides, stay dry and have fun. For kids that have never seen the ocean, what places should we visit?